The goal of scientists working in the field of toxicologic pathology is since many years the harmonization of nomenclature and diagnostic criteria for lesions observed in laboratory rats and mice. 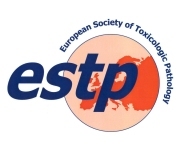 Initiatives had been started in the late 80s in the United States by the STP (Society of Toxicologic Pathology) and in Europe by the RITA data base group (Registry of Industrial Toxicology Animal-data). STP: "SSNDC Guides for Toxicologic Pathology"
This is a series of 33 monographs/leaflets, divided by organ or organ system, covering proliferative and non-proliferative lesions mostly in the rat. WHO/IARC/RITA: "International Classification of Rodent Tumours Part 1, The Rat"
This is a series of 10 fascicles, each covering an organ system and describing the diagnostic criteria for proliferative lesions in the rat. The fascicles were published between 1992 and 1997. WHO/IARC/RITA: "International Classification of Rodent Tumors, The Mouse"
This is a monograph covering all organ systems and describing the diagnostic criteria for proliferative lesions in the mouse. The book was published in 2001. An electronic version of the RITA/WHO/IARC developments and publications - the Registry Nomenclature Information system (RENI) - is available since 1989 for members of the RITA project.